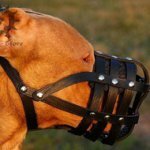 American Pitbull attack training is an indispensible part of protection training. 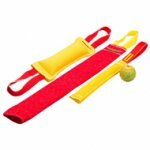 A dog should be with special agitation harness on during exercising. 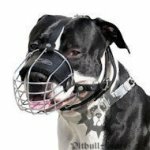 This is the harness, which has wide and padded breast plate to control the dog with confidence and to eliminate loads on its neck. 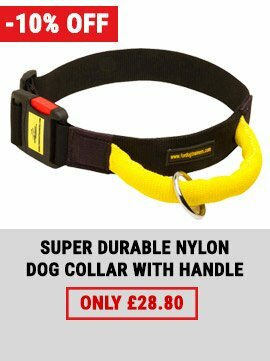 Your dog's safety and secure handling are two the most important features that the harness for attack work should have. 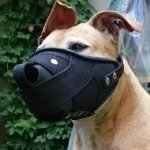 Where to get the harness? Here are two specialized harnesses that are designed and made by professionals. 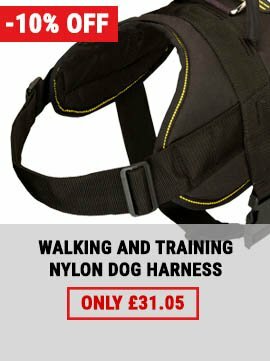 Both harnesses are used by experienced trainers and became real bestsellers for this kind of training. 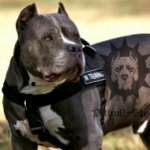 The first variant of Pitbull attack dog training harness is of full grain natural leather. It is incredibly strong due to leather quality and thickness. 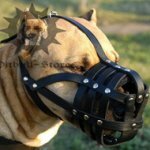 It will resist power of the strongest dog and won't tear. The harness is also stitched for this. Every stitch is even and fine. 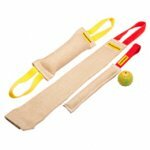 This harness is finely processed and worked-out along the edges. It is soft, flexible, pleasant to the touch and safe to wear. The harness won't provoke problems with skin because leather is hypoallergic and non-toxic. 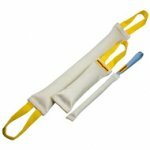 Design of the harness makes it extremely comfortable and safe. There is a broad chest plate with thick felt lining. Front straps and back plate are also lined with felt. 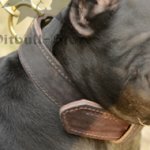 Leather straps are adjustable to fit the harness to your dog ideally. 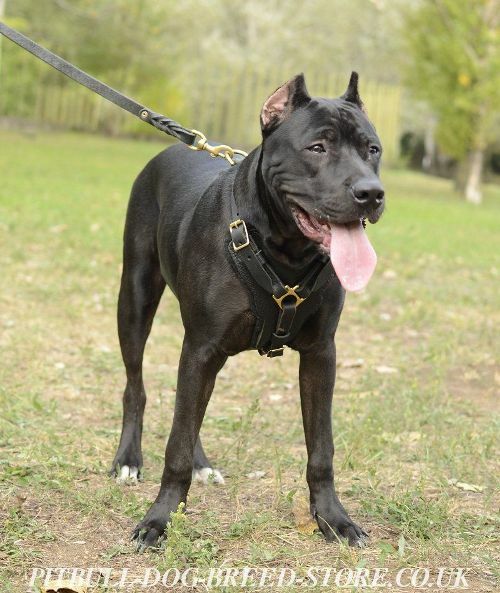 Quick-release buckle makes it fast and easy to harness Pitbull and save your time. 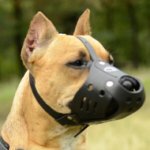 The leash is also connected to the D-ring on the back plate effortlessly. The harness has nickel-plated fittings. They are rustless and welded. Each metal fitting is sewed and riveted to hold reliably. 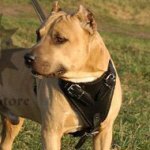 You can choose this harness in black or brown color, with or without a handle, which provides additional control over your Pitbull. 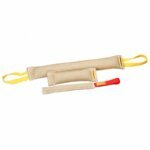 This harness is an essential tool for agitation training. 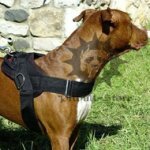 The second variant of the harness for attack work is also of 100% leather, which is thick, wearproof and tear-resistant. Leather processing is excellent, every edge is polished and smoothed as well as the entire harness. 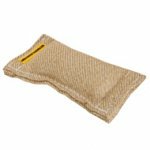 Careful stitching adds more durability to the item. 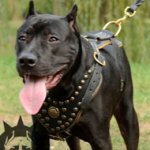 It won't tear under heavy loads of training and power of strong Pitbull. The harness is harmless to wear due to leather softness and flexibility. 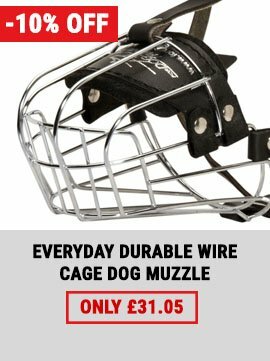 Your dog will have neither skin irritations, nor rubbing. Large chest plate is felt padded. Back plate is supported with felt as well. The harness is cozy and safe for the dog. The size of the harness is regulated with straps and standard buckles. The straps are wide and extra firm. The harness is put on and off with quick-detach buckle. The leash is attached to the D-ring that is placed on the top of the harness. Metal details are of brass. This alloy causes no allergy and shines like gold. It is solid and reliable. The harness with brass hardware has luxurious look and your dog will always draw the eye. Brass can become dark under the influence of air, wet and water with time. Cover brass details with colorless varnish to avoid this. Black or brown color and handle options are also available. This harness is a must-have gear for attack training. 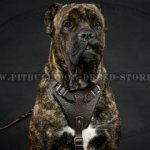 Whichever harness you choose, remember that leather is a hard-wearing material and it will serve your Pitbull as long as possible if to take care of the harness with special leather balsam that will renew the product.